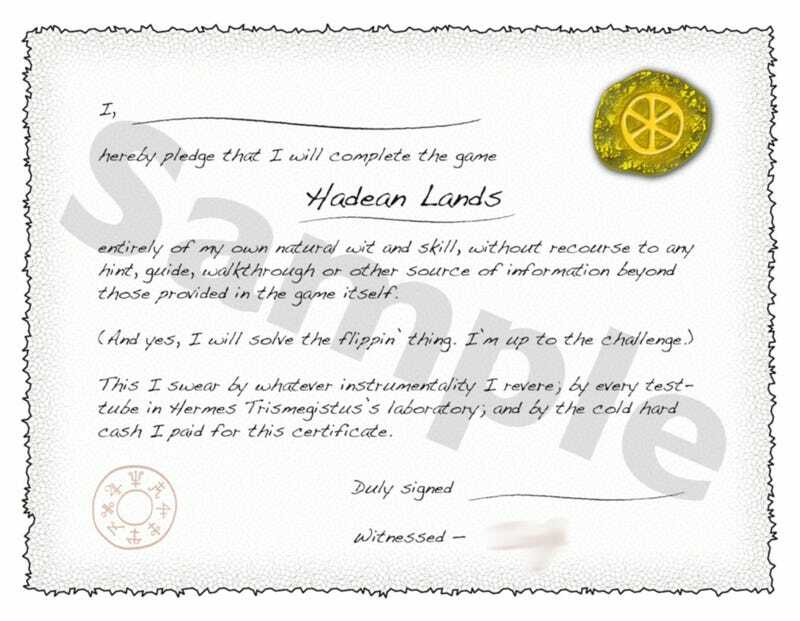 Hadean Lands is a text adventure renowned for being good but tough. It’s been around for a couple of years, and it just got a Steam release. Steam, of course, supports DLC. Hadean Lands’ developer decided to take advantage of that feature in an... unusual way. It’s certainly cheeky, I’ll give developer Andrew Plotkin that much. It’s not like you have to buy it, either, so this isn’t really hurting anyone. I mean, really you can just download the JPG from the store page like I just did, and that’s it. Heist of the century, right there. I’m guessing this is an attempt to poke fun at modern DLC, a substitute for a donate button (something Hadean Lands has in other online stores, but that Steam doesn’t allow), or both. You can’t be serious about this. I assure you, I have never been more serious in my life.